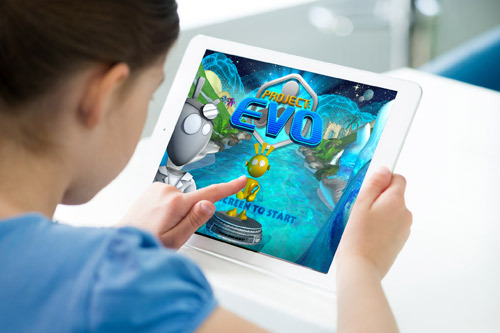 Akili Interactive plans to seek FDA approval for its ‘digital medicine’ after its tablet-based video game passed a pivotal trial in attention-deficit/hyperactivity disorder (ADHD). The US firm’s AKL-T01 game has just completed a randomised, controlled trial of 348 children and adolescents with ADHD in which it improved attention scores. Eddie Martucci, Akili’s president and CEO, said: “This is an exciting milestone for our company, for the digital therapeutic community, and for families and children affected by ADHD. We look forward to advancing AKL-T01 through our planned regulatory process and toward the market. The STARS-ADHD study of AKL-T01 measured the intervention on changes to the Attention Performance Index (API), a composite score from the Test of Variables of Attention (TOVA) measure for sustained attention and inhibitory control. The four-week trial saw participants following either the digital medicine or an active control, the latter also given via a tablet device and mimicking AKL-T01’s reward and engagement elements. Top-line results from the pivotal trial showed a statistically-significant improvement in API, Akili said, with no improved seen in the control group. However, improvements in a range of subjective secondary outcome measures were seen in both the treatment and control groups. Akili said analysis of the study results was underway and they would be presented at an upcoming scientific conference and submitted for publication in a peer-reviewed journal. The study was managed by the Duke Clinical Research Institute and principle investigator Dr Scott Kollins, director of the ADHD programme at Duke University School of Medicine. Dr Kollins said: “This innovative study represents, to my knowledge, the largest and most rigorous evaluation of a digital medicine. Based in Boston, Massachusetts, Akili is a subsidiary of biopharma firm PureTech Health and has so far attracted investment from the likes of Shire, Merck and Amgen. The firm plans to seek FDA approval for AKL-T01 in 2018 and said that if approved it would be the first digital therapeutic for the direct treatment of disease cleared by US regulators.